It's an unconventional campus for an art and design school. 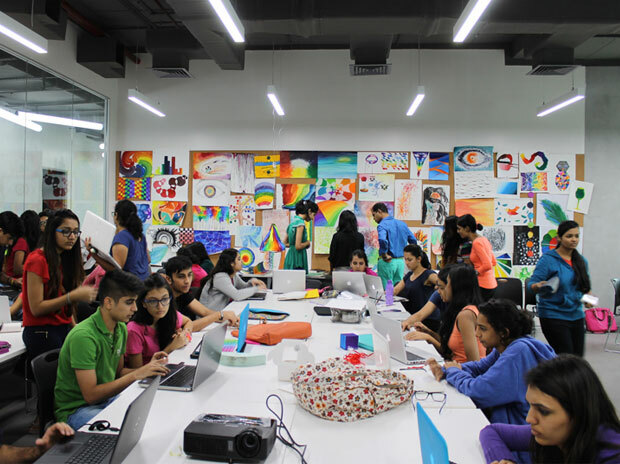 Indian School of Design and Innovation (ISDI) located in the heart of one of the busiest business districts in Mumbai is not the usual several-acre campus with a spray of buildings and trees. You don't feel you are entering the premises of a design school - more the corporate headquarters of some consultancy firm. ISDI is housed in One India Bulls center at Lower Parel in a vertical space of six floors with over 300,000 square feet at its disposal. Yet, once you enter, the corporate feel dims. Eye-catching artwork hangs from the ceiling panels along its corridors. There are bright, colourful photographs and collages on its walls. You can hear rock music playing at different times - sometimes soft and sometimes ear-splitting. Young students throng the place, lending it a throb that most corporate spaces lack. Mumbai's new design school, set up by Parsons alumni Radha Kapoor, has come up in a fairly short time. It started with its initial batch in 2013 with 30 students and today has 500 students enrolled across all its programmes. In the pecking order, ISDI ranks behind National Institute of Design (NID) in Pune, Srishti Institute in Bengaluru and MIT Institute of Design in Pune. But some students are beginning to experiment. 17- year-old Shrey Purohit, who wants to specialise in font design, says that he chose ISDI over other design schools because it has the “energy and excitement” of a start-up. Two young boys, specialising in product design — standing in a room where whacky, attractive paper weights distract one’s attention — say that ISDI pulls them right out of their comfort zones and pushes the boundaries, both essential ingredients for the mind to flourish. ISDI's four-year programme (with a diploma awarded at the end) is based on the thinking that design is fundamental to everything we do today. Whether it’s an Apple or an Ikea, a keener-than-others sense of design is what put them where they find themselves today. The first year at ISDI lays the foundation with an exposure to all things design — drawing and imaging, space and materiality and the history of objects. In the second year, students are free to opt for communication design, product design, fashion design and interior design. Eventually, the school will award a degree like NID but that’s a process of bureaucratic wrangle somewhat out of their control. 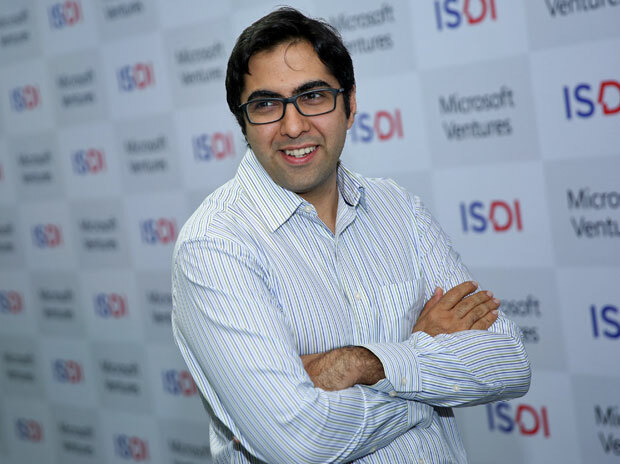 Siddharth Shahani, executive director of ISDI, says that the intention and idea was to transform the way design education is delivered in India. He says it wants to transform “academia into an engine for creative enterprise”. And to do this, they knew they needed some help. That's where the relationship with New York’s Parsons school of design comes in. Although it doesn’t give you a Parsons degree currently, the ISDI experience is almost totally modelled on what is on offer in the world’s premier design school in New York. Curriculum, teaching methodology, faculty development, exchange - both of students and faculty - is what Parsons is bringing to the table. For Parsons, Mumbai was a prime attraction. ISDI approached Parsons at a time when the latter was looking at expanding its global footprint. It had just set up Parsons, Paris and was in the process of setting up a new design school in Shanghai — both urban centers with a rich cultural heritage. David E Van Zandt, president of the Parsons school, says he would love to award his degrees in India in due course if rules in India would permit it". Unconventional is not just limited to the space ISDI operates in. Students say that they have even considered breaking one of the walls to experiment. The dean of the school, Mookesh Patel, who has recently joined from an art school in Arizona, encourages such mad thoughts. He seems blissfully oblivious to the fact that they are housed in a large building that could collapse like a pack of cards if select walls are broken. Walk into a classroom and it's hard to discern that a lesson is in progress. Students are chatting eagerly with each other. In one corner, there is someone with a streak of grey in the hair, listening intently to the discussion and at times interjecting. Only the grey is a give away that authority is vested here. Otherwise, it's almost impossible to distinguish who is teaching and who is learning.